How do the children of 2017 react to AC/DC? In 2017 we’re surrounded by flash in the pan, flavour of the week bands that are just as important to the zeitgeist as what pair of socks you put on this morning. But some bands stand the test of time and their music lives forever. AC/DC are one of those bands. None of the people in the below video existed when AC/DC formed. They didn’t exist when Bon Scott died. They have only been alive for the release of two AC/DC albums, but they know pretty much every hit song in the Aussies’ back catalogue. 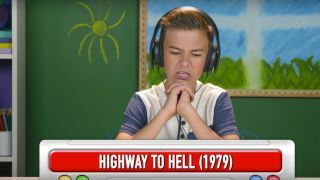 From Thunderstruck to Dirty Deeds Done Dirt Cheap to Hells Bells, these pre-teens know the hooks, choruses and everything in between, which boils down to the power of their parents and advertising.